Nowadays, we don’t use lamps just to illuminate our rooms. Lamps have become a style statement now. You can set the tone of your home decor just by switching off the lights and turning on an exotic lamp of your choice. If you are still opting just for the modern LED lighting fixtures, you are surely missing out on something. We advice you that you try any good trendy lamp before opting against them altogether. 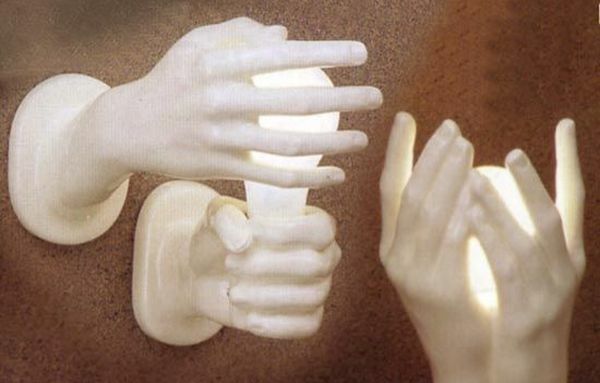 For your reference, here is ‘Hand Lamps’, which is one of the most unique lamps out there. It would surely give a new definition to your home decor. The lamps you seeing above are indeed products of brilliant artistic skills. 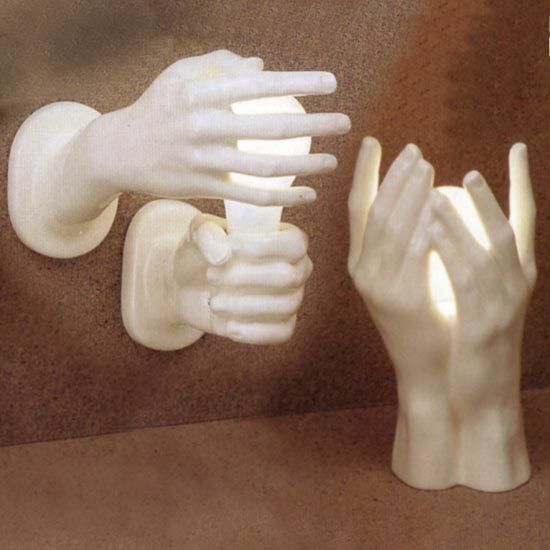 Made of strong glazed ceramic, they portray real life molds of human hands and hence are aptly named, “Hands Lamps”. I feel these lamps will definitely enhance the grace and beauty of the room where they will be fitted. You can avail two forms of these lamps: a table lamp to be fixed on a plane surface such as a table top or atop a cupboard and a pin-up lamp which can be affixed on the walls, thereby giving the lamp a horizontal outlook. Handcrafted in California, these lamps are available in either black or white. Well-crafted and neatly finished, it is indeed a contemporary and stylish decorative-piece. Employing magnetism technology, the UFO Lamp from Baita Design is an unconventional lighting that as its name suggest levitates in the air to illuminate your living place. Encasing a lens made in ABS plastic, bulb and magnets in an aluminum dome, the UFO Lamp works in tandem with a stainless steel base that also houses magnets and electronics. Appreciate it or curse, the “Less Lamp” by Jordi Canudas is sure to attract the attention of the people visiting your home. Finished in plaster, the egg-shaped lamp is required to be pricked with an attached pickax, letting the light loose to illuminate your place. You may create number of holes in order to increase the glow of the pendant lighting with standard incandescent light bulb. The E-lamp lets you express your thoughts and feelings with every flash. 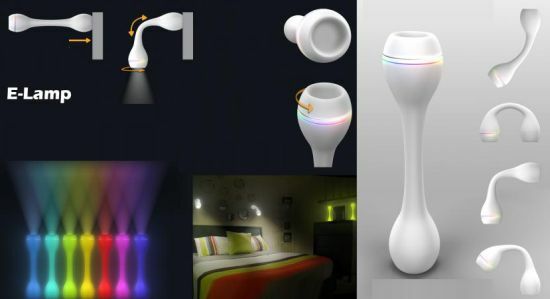 An acronym for emotions, the E-lamp can be used to preserve all your moods with the wonder and power of its illumination. With an inner assembly of aluminum elbows and outer body of polyurethane, the E-lamp is shock-proof and water-resistant, offering great safety for its users. 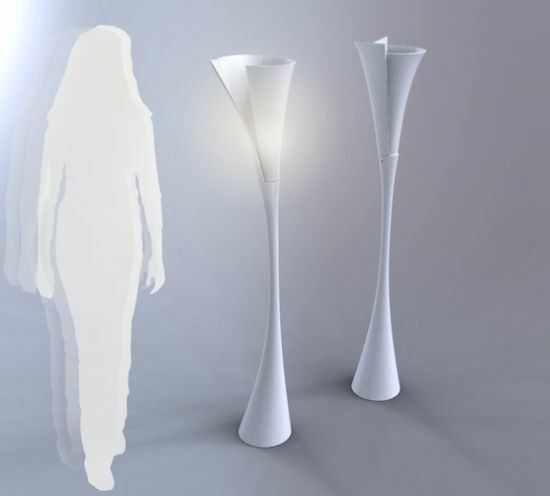 Representing the life cycle of natural plants or flowers through a common product used in an average home, Italian designer Chiara Daniele has devised an indoor lamp called “Calla” that counts on advanced technology, i.e. presence sensors, to turn on and off. Designed as part of Mas Luxe diploma at ECAL in Switzerland, the “slim&strong” by Delphine Frey is a desk lamp or console table lamp that as its name suggests combines the softness and elegance of the haute couture pleat with the rigidity of carbon. Finished with carbon-fiber pleats, which gives stability to the long, thin light, the console table lamp not only presents a unique design, but also amalgamates traditional skills with contemporary motorsports technology. 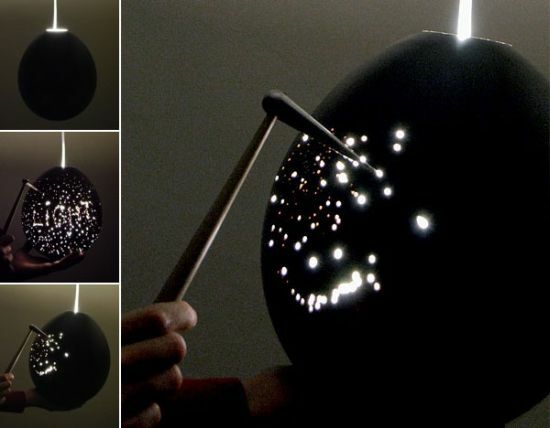 A falling apple aroused Newton’s curiosity that ended in the discovery of gravitational force, whereas designer Pengtao Yu couldn’t resist putting his inspiration, derived from a lamp in a freezing night, into a two-in-one concept. 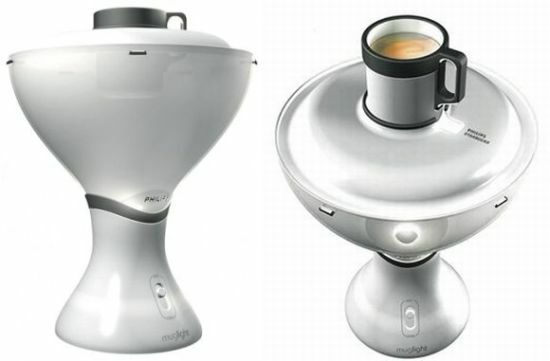 He calls it “MugLight,” the combination of a mug and lamp. 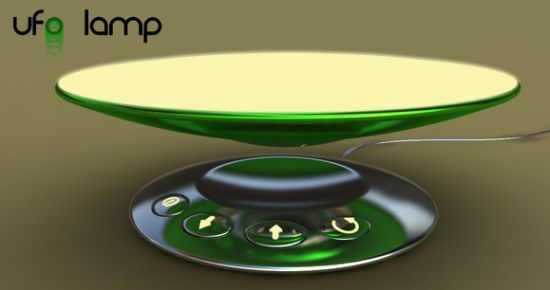 Simply, a lamp shade made of heat insulating material that can hold a cup of coffee on a specially designed space on the top and uses the heat emitted by the lamp to keep the cup warm. Drawing inspiration from the On/Off icon of electronic devices, designer Marco Lana has come up with an innovative lamp called “Turn On” that can be switched on and off simply by turning it from left to right and vice versa. 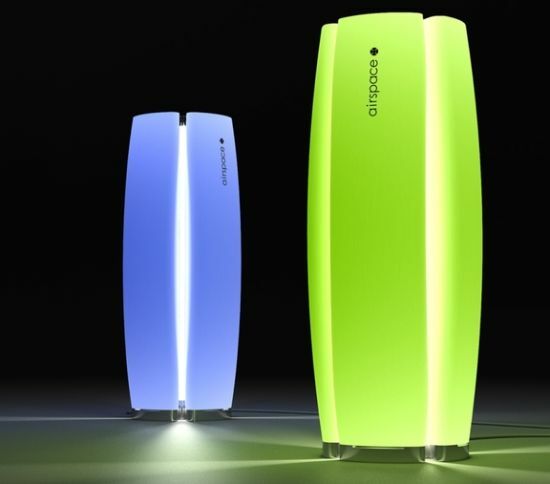 Designed as a part of the furniture series “on-off,” the rechargeable lamp can be used both indoors as well as outdoors, without needing a socket. Inspired by the long range of products using solar energy, the “UVonion” by Yun Li is an onion-shaped solar ultraviolet lamp that lightens up your surroundings and saves a tremendous amount of energy. 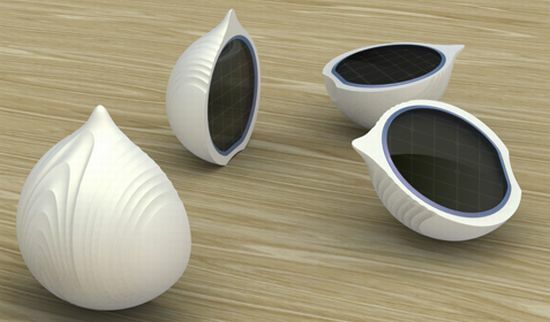 The UVonion, though it appears to be collecting the solar ultraviolet rays during the daytime and emitting them at night, sanitizing your home from the dangers of ultraviolet, but it actually converts solar energy into electrical energy using solar cells and in turn produces UV light powered by ultraviolet LEDs. 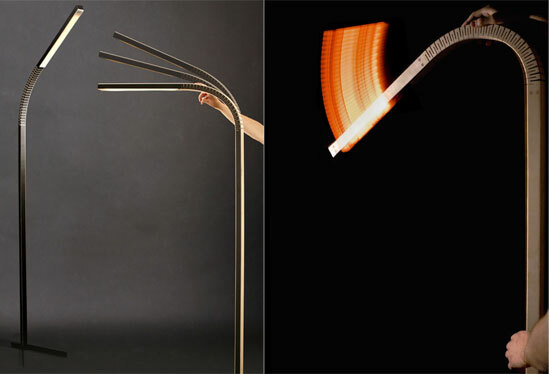 Designed by Maximilian Schamahl and Fabian Schnippering from Bauhaus University Weimar, Germany, the “Knicklicht” is a simple but at the same time unique light that bowing to the needs of users can be used as both a desk lamp as well as a floor lamp. Using Kyosemi Company Sphelar, Kim planned a design that used Origami. The initial design was rather simple but the designer realized that more intricate the design – obviously usage of more panels – meant more light. 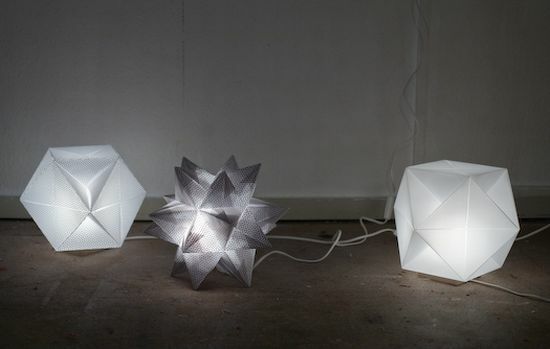 The final result of two months of work is the star-like Origami Solarcell Lamp: a truly marvelous effort. Another modular item coming your way. Pretty and fresh, T33 is a lamp that lends itself to imagination. Mahmoud Akram is the brain behind this source of illumination. T33 is made of several modules of plexiglass convex lamps. Hinges fixed to the sides of these laser cut stainless steel modules. This means that users may attach as many of these as deemed necessary. 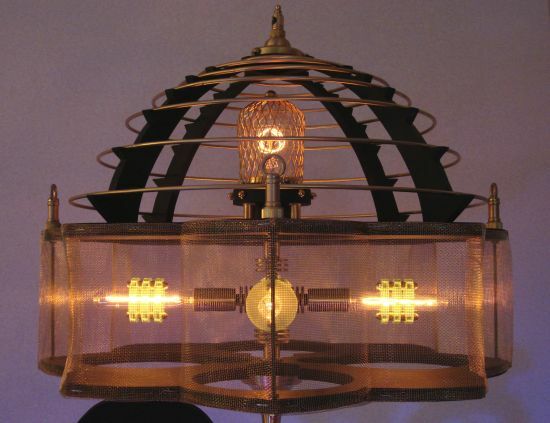 The concept of this Steampunk lamp, Thin White Duke, is by New York-based lighting and furniture designer Art Donovan. It is just another case in point about how the mystical retro-futuristic creations really beg us to go back to the future. Furthermore, it offers a second thought to the chrome and stainless steel route we chose for our tech purposes. 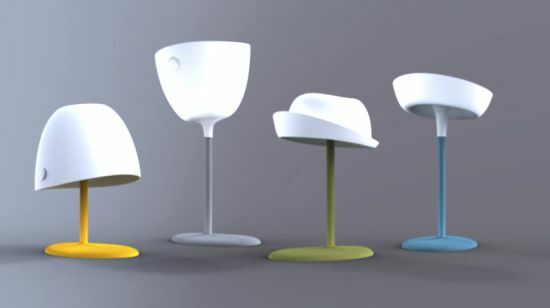 Utilizing modern tools of lighting, designer Elizabeth Clark has come up with an innovative lamp. This lamp lets you play with your ideas while catering your lighting requirements. In addition, it also keeps changing throughout the day. Dubbed the “Nu light,” the modular light molds the OLEDs into a flexible silicone lamp. 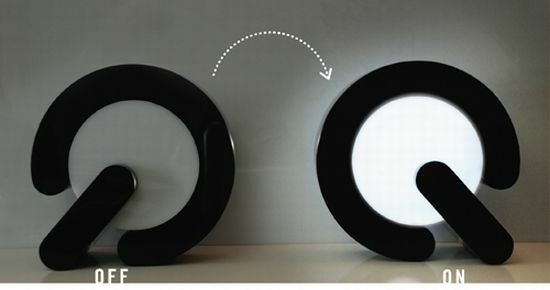 This lamp changes its shape making it easier to use. Moreover, it works both as a desk lamp and a lamp to illuminate an entire room. The “Airspace” by Russian designer Olga Kalugina is a table lamp that doubles as an ionizer. Furthermore, it allows a fresh, healthy environment within your living or workspace. It constitutes of mat glass with transparent central part creating an interesting light effect. Moreover, the multifunctional lamp also features modern sensor switches to enhance your lighting experience. 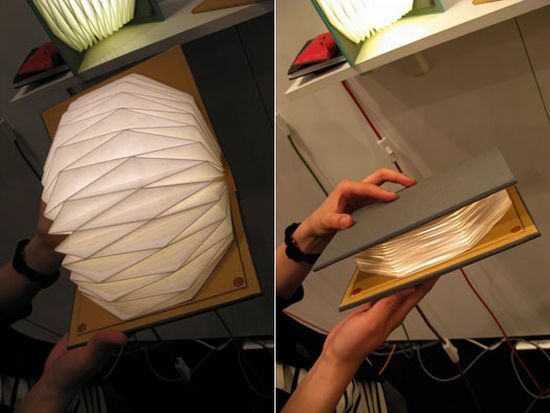 Inspired by traditional bookbinding, the “Book Lamp” by Myung-seo Kang is a portable pop-up lamp. You can use it anytime, at any place, wherever you need some illumination. 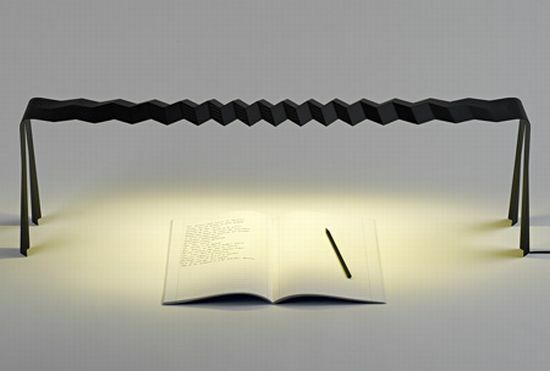 Looking like a book that replaces pages with a piano-accordion-like light in the middle, the book lamp adjusts its illumination as the user open or closes the book. ← Swarovski crystals + mesh bags from Diller Scofidio + Renfro: Breathtaking!